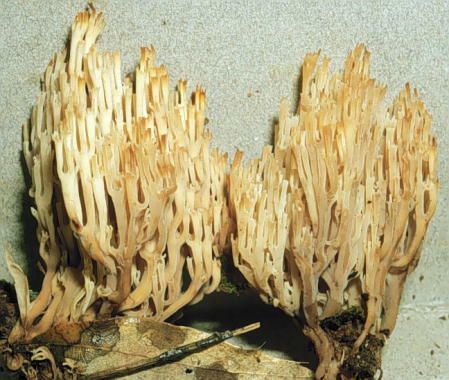 This coral fungus can be a conspicuous element in Costa Rica's montane oak forests. It is characterized by the peculiar branching, small white spores, a gelatinous hymenium and gloeocystidia. The coronate apices of the branch tips are also diagnostic. We have found it on Volcan Poas as well as in the Cordillera Talamanca where it was found on dead wood.